PeepSo helps you build any kind of community website using WordPress, with member profiles, activity streams, user groups, messaging, and more. 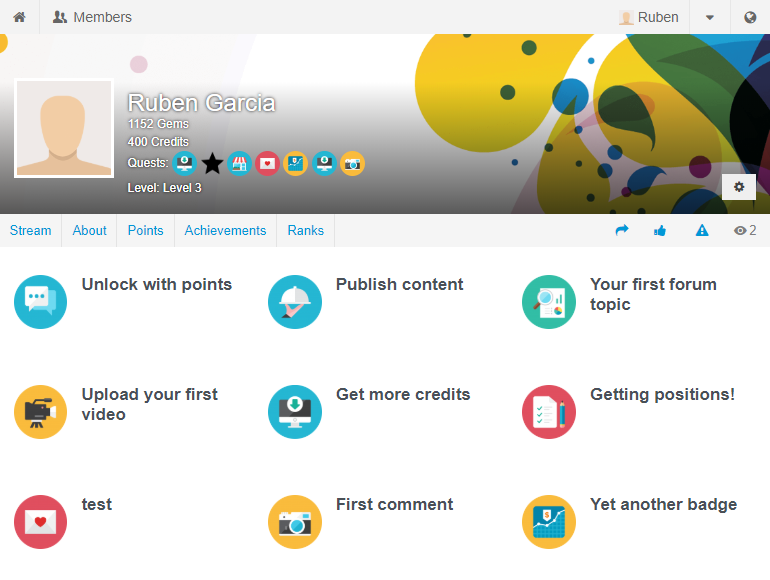 Add gamification to your PeepSo community to engage and motivate your members! This plugin automatically connects GamiPress with PeepSo adding new activity events and features. You will find all the settings to manage the tabs displayed by navigating to GamiPress -> Settings -> Add-ons -> PeepSo Settings.